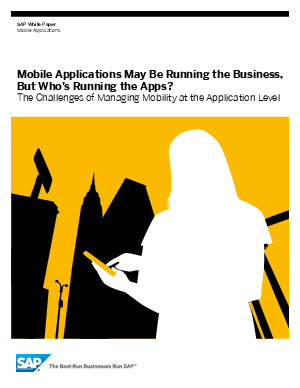 > SAP > Mobile Applications May Be Running the Business, But Who's Running the App? their employees are accessing. As enterprise mobility evolves far beyond mobile e-mail, application management is becoming a fundamental mobility management challenge.